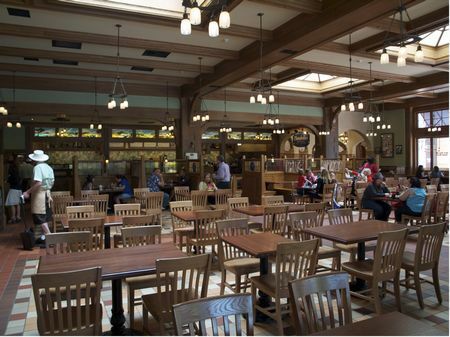 Fiddler, Fifer and Practical Cafe is a counter service restaurant in Buena Vista Street at Disney's California Adventure. Our readers say it's good but not great. The quirky name is a reference to Disney's "Three Little Pigs" cartoons from the 1930s. The restaurant serves Starbucks coffee drinks, as well as a pastries in the morning and a selection of sandwiches and soups later in the day, including a Roast Beef and Cheddar, a Turkey Reuben, a Paneer & Roasted Vegetable, and a Salami Royale sandwiches.